Alternative Large Capacity Frac Tanks | ModuTank Inc.
Fracking is a process used in drilling to maximize the production of oil and gas wells. The fracking process basically consists of pumping fracking fluid, under pressures of 10,000 psi and more, through the well’s piping to the target area deep underground. High pressure causes the fracking fluid, which is composed of various combinations of water, chemicals and sand, to fracture the rock and liberate trapped oil or gas. When the fracking process is finished, the flow is reversed. Downward pressure is removed from the well, allowing oil and gas to travel upward to the surface where it is recovered. Fracking processes typically require 1.5 million to 6 million pounds of sand mixed with water. Most well sites utilize large capacity frac tanks capable of holding more than 1,000,000 gallons of water. Chemicals, such as guar gum, are added to the water/sand mixture to form a gel that permits the fluid to effectively travel downhole. When necessary, anti-bacterial soap, referred to as “slime”, is added to the gel to prevent the growth of bacteria that produces toxic gases. An average well typically requires 20 fracking applications. Each frac needs massive volumes of water and tons of sand to feed the process. Large capacity rental frac tanks are the economical answer for typical short-term fluid storage. Bolted steel tanks with high capacities offer a viable solution for large capacity frac tanks. Their factory fabricated parts rapidly bolt-together assembly for installation anywhere. 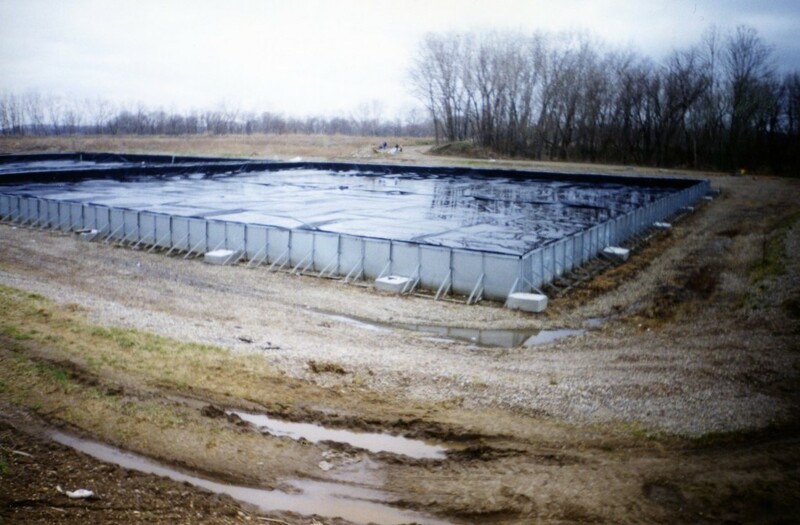 In addition, bolted steel tanks can be designed to fit in any geographical conditions and large capacity volume requirements. 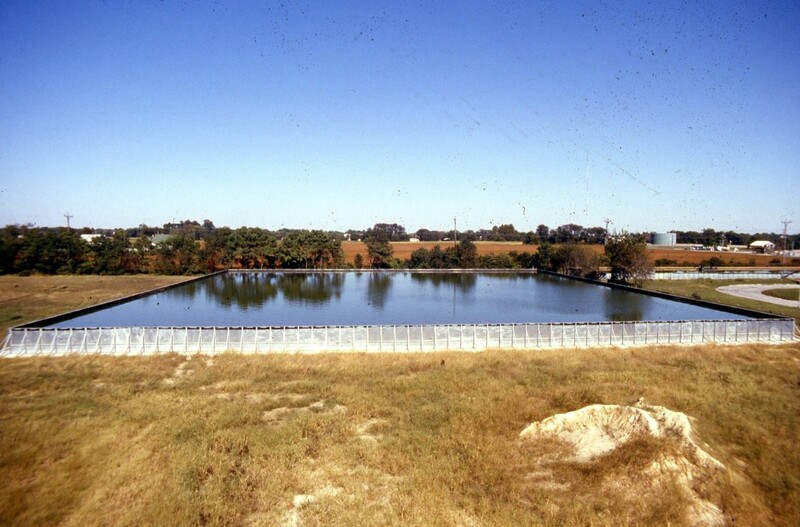 Since 1970, ModuTank Inc. has offered large capacity frac tanks and secondary containment systems suitable for drilling sites, as well as water, chemical and fuel containment tanks. Composed of modular steel parts and fitted with various liner materials, our large capacity tanks feature rapid bolt-together assembly with hand tools. These large tanks can be installed free-standing on almost any level, compacted surface or permanently anchor-bolted to concrete footings. Modularity assures a wide range of sizes and capacities. 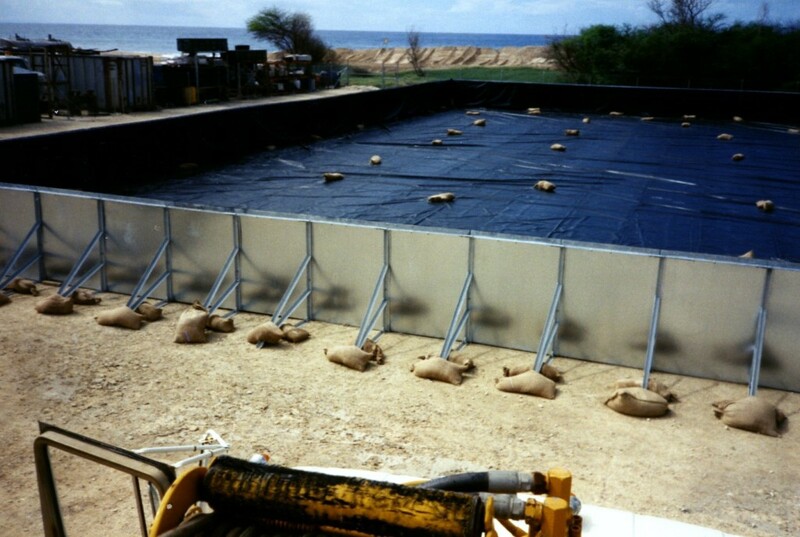 Furthermore, our flat-panel tanks can be configured in square, rectangular or special shapes for irregular sites. Floating and steel covers, double liners, inlet and outlet fittings, leak detection, drains, vents and other ancillaries are available.